IEA was appointed the best department/division in 2015 by the students of Mechanical Engineering at LTH (same recognition as in 2012). Dr Magnus Arnell's PhD thesis "Performance Assessment of Wastewater Treatment Plants" has been appointed the best PhD thesis at LTH in 2016 and awarded the "Sparbankstiftelsen Färs och Frosta" research prize for 2017 (read more (in Swedish): info1, info2). Dr Ulf Jeppsson has been appointed member of the International Water Association (IWA) Strategic Council from September 2017. 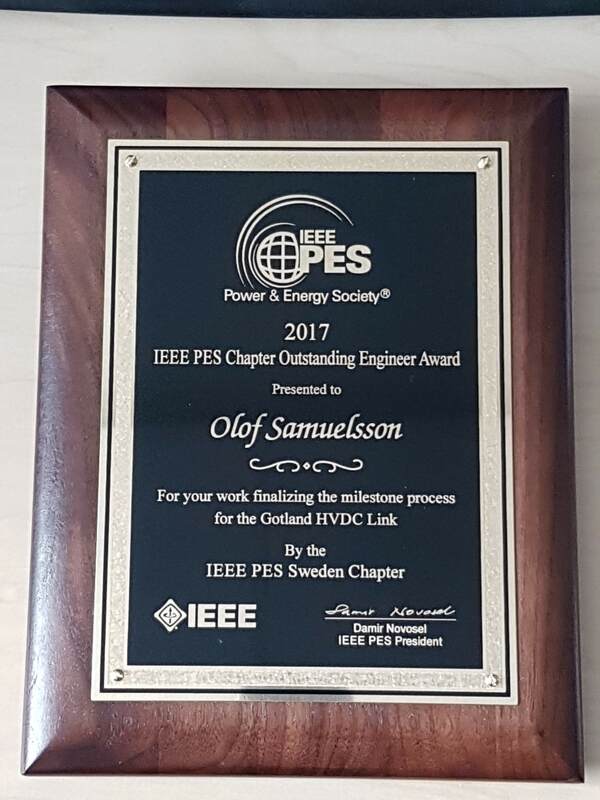 Professor Olof Samuelsson has been awarded the IEEE Sweden PES Chapter Outstanding Engineer Award 2017. Read how Lund University implements the new General Data Protection Regulation (GDPR) (soon in English). NEWS: Dr Magnus Arnell was appointed International Water Association (IWA) Fellow at a ceremoni in September 2018.